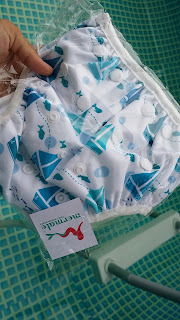 The very first thing of all things that I bought for my baby is a swimming diaper. Bought around April when I was 23 weeks. Swimming diaper from Mermate, your swim mate. I bought it online from my friend, Zahra for only RM 25 if I'm not mistaken. I didn't know the gender at that time, hence the blue colour to keep it unisex. 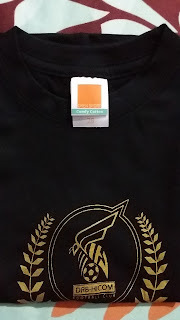 About a week later, Iz got our baby a football club t-shirt. Yes. 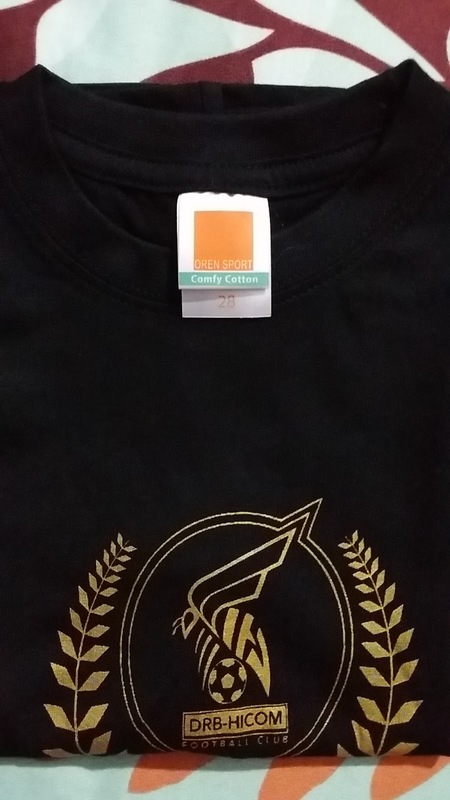 The very first thing he bought for our baby is a t-shirt. Biased parents. We decided that our baby will decide what she wants to do. We'll give you freedom to choose... Don't worry... But you MUST know how to swim and kick balls. baby girl kan bash? syok shopping tuu.. hiks. baby A bash mesti a pro swimmer nanti, like his mommeh. syoknye syoknye! Haah inshaAllah baby girl. Memang pun kemain lagi nak belikan skirt la apa lah... Hahaha! bash, doa la kite dapat baby girl pulak pasni.